Hundreds of millions of websites post new content every day. Making digital waves isn’t easy in an ocean of content, even in niche markets (just search “High Velocity Industrial Fans” on Google -- 1.3 million results!). One of the biggest obstacles to rising above the rest is knowing which digital marketing techniques are the most effective and when to use them. Businesses that succeed in today’s online marketplace are ones that take the time to develop clear and comprehensive strategies. But with so many marketing platforms available and an overwhelming amount of advice (sometimes conflicting), it’s a daunting task. The best bet is to design a strategy that focuses on the needs of the customers in your industry. Sometimes, the internet isn’t totally rewriting marketing strategies, it’s just streamlining them. We’ll talk more about that later, but for now let’s think about your goals. Are you looking to generate more leads, increase direct sales, retain more customers, or raise awareness of your product? Be specific about the numbers and timescales involved (e.g., increase leads by 50% over the next six months). The goals you focus on will govern which methods you should use, so take the time to get them right. Social media marketing - By engaging with your market on social media, you will increase brand recognition and credibility, especially if people start sharing your content. People go to social media for enjoyment, entertainment and education -- not to be the target of relentless marketing campaigns. So avoid promoting yourself too aggressively. Sales are a byproduct of engagement, which means producing great content is an essential piece of any successful marketing strategy. Don’t worry about getting on every platform at once. Concentrate on the biggies like Facebook and Twitter, to begin with. Guest blogging - Producing content to be published on other sites (with a link back to your own), or inviting industry influencers to write articles on your site is another way to increase name recognition. Reach out to your most popular business connections to swap content for a win-win exchange. Using analytics - Huge advances in consumer-grade analytics technology are making high-level marketing readily available to B2B and B2C manufacturers. Shine a spotlight on metrics that show engagement such as “page visits per new and per returning prospect” and the results of A/B split testing (a method of making small website changes, such as headline text or colors, then monitoring the differences in visitors or conversions). Effective lead generation comes down to one thing: Content. If you can offer valuable content that potential customers are eager to consume, you’ll generate more interest in your products and more names on your list of leads. Blogging: Well-written and informative blog posts will generate leads, especially if they are share-worthy. Blogs have become the content currency of the internet. If you can build a successful blog with a sizeable readership, you’ll never be short of leads again. Having a regularly updated blog also reassures new prospects that you’re a successful and thriving enterprise. Focus on quality and always try to come up with original ideas that are genuinely useful, not just things to fill the page. This is an excellent method for gaining credibility and popularity, so don’t be afraid to educate your readers. Lead magnets: Another common strategy is to create a “lead-magnet.” This is usually some kind of downloadable content that people will exchange their email address for. This can be an ebook, PDF guide, or short video series that can be emailed to the prospect or downloaded directly. For instance, if you manufacture electronic parts, you could produce or commission a short PDF guide titled “37 interesting new trends in consumer electronics.” This will pique the interest of your target market enough for them to pay the relatively low “cost” of providing their contact information. (Handy hint: using specific numbers like 37, rather than round numbers like 30 has been shown to generate more interest as people will perceive it to be a more comprehensive list). Email Marketing: Once you have a decent-sized, targeted email list, you can start using email campaigns to turn these leads into customers. Again, you want to make sure that your email marketing isn’t just promotional, so try to offer value by sending prospects things that will interest them and are useful. If you can solve some of your prospect’s problems for free with good and pertinent information, they will be far more likely to do business with you. And these campaigns work doubly well when you can use automated solutions to personalize the content with names and data fields based on your existing knowledge of your leads. It’s becoming increasingly common for manufacturers to sell directly to consumers, cutting out the wholesale middlemen and without relying on retail partners. The internet has made eCommerce a viable way to do business, but you need a solid direct marketing strategy to make it work. Driving traffic to your online store - High-quality Search Engine Optimization (SEO) is key, which relies on everything from carefully selected keywords and phrases to more technical considerations (e.g., sitemaps, image tags, etc.). Pay per click (PPC) advertising - The biggest names in manufacturing often pay for PPC advertising to boost their visibility. It’s a strategy that’s just about guaranteed to increase site traffic. Fresh content - There are a number of benefits for eCommerce shops that have regularly updated and informative blogs. Effective sales copy - Professional copywriters have spent years learning the art of persuasive sales copy and they’re always worth the investment. Customer review management - Product reviews increase customer confidence, but they’re also a hotbed of incorrect information. Make sure to closely pay attention to yours. Good user interfaces - User experience and page load times have a humongous impact on sales numbers. Regularly compare your site to others to make sure it’s competitive. Even when you’re working with content as succinct as an AdWords campaign, make sure readers always have the opportunity to access in-depth information, especially for product descriptions and datasheets. Some people may just be browsing, and some may intend to purchase something. Try to balance this by writing short, irresistible copy (e.g., 70-character AdWords ads) that leads to mid-length copy that converts (e.g., a descriptive landing page with a “Talk to someone now” CTA). Somewhere in your mid-length copy, include a link to longform content to satisfy particularly curious readers. With this approach, you have readily available content for a broad spectrum of tastes without alienating anyone. More so than other industries, manufacturing customers need incredibly specific information on your products. For example, if you manufacture windshield wipers, “air-tight connection with surface due to extra pressure points,” might be enough to pique a bulk purchaser’s interest -- but it’s not enough to close the sale. These are just the foundations of digital marketing best practices. Delving much deeper than what we’ve covered here involves countless tools and platforms, but one thing always remains the same: Unification. You can’t have a marketing email go on about the wonders of industrial automation that then links to a guest blog post about the thoroughness of your manual labor quality control. That would send mixed messages. The solution is to bring all your digital marketing under one roof. And with our unlimited service model, you can do that for one monthly fee. Check out our site for more information today. Thank you for sharing the article on https://www.digitant.com/digital-marketing-for-manufacturing-and-logistics.html . 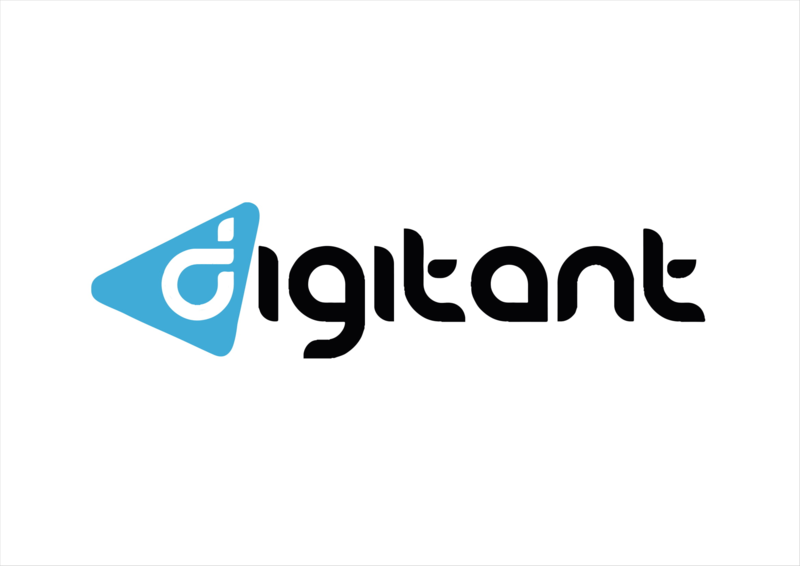 Digitant provides digital marketing for manufacturing and logistics industry which helps them to build their brand attracts customers with our digital channels. Does Social Media Work for Manufacturing Companies?